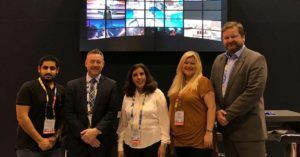 Pictured at the IAAPA Attractions Expo in Orlando in November following the announcement of the deal are (from left) Abdullah Al-Hammad, Future Kid Development Department Manager, Simworx CEO Terry Monkton, Future Kid CEO Madam Rasha Al-Ghunaim, Cartoon Network’s Bella Rochfort and Simworx Sales Director Edward Pawley. 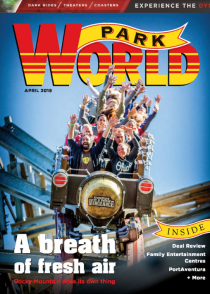 UK-based dynamic media attractions specialist Simworx is to supply an example of its Immersive Adventurer rides to Future Kid’s Cartoon Network World in Kuwait. The attraction is a highly dynamic, 3DOF motion simulator, themed internally as a 16 seat ‘vehicle’ which uses 13 video screens to project media on all sides of the vehicle and even inthe roof ! The innovative AV technology will totally immerse riders into the world of Ben 10. The ride will be a key attraction at Cartoon Network World, Kuwait, which is to be completely redeveloped in 2019, with all the current rides replaced. 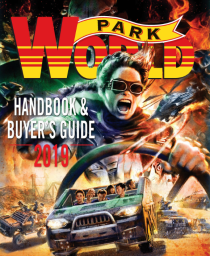 The announcement was made at IAAPA 2018. Katapult is providing the design for the new facility.